Apparently I can’t count and there was a major mistake in the written instructions for my Chess Set pattern (thank you to the knitter on Ravelry who spotted it). 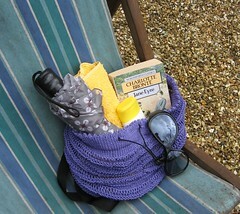 I’ve changed the pattern and uploaded new PDFs both here and over at Ravelry. If you need the new pattern, please download it now. I love all those knitted and crochet market shopping bags I’ve seen around, but I wanted something I can use that will still leave my hands free. 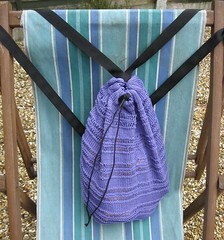 The drop stitch pattern and the cotton yarn means the bag has some give and will stretch to accommodate your shopping or your beach essentials. The webbing straps wont stretch out of shape, even with all your summer market purchases on board, and add a nice contrast to the yarn. As for the name? Traeth is Welsh for beach. 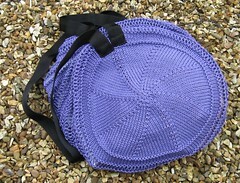 Notes: I know it’s not very modest, but I really like this bag! I use it a fair amount and it’s proved useful for shopping and for carting stuff around the house, too. The theme for this issue of The Inside Loop was “The British Summer” and for me this means the beach, market-day shopping, and rain! 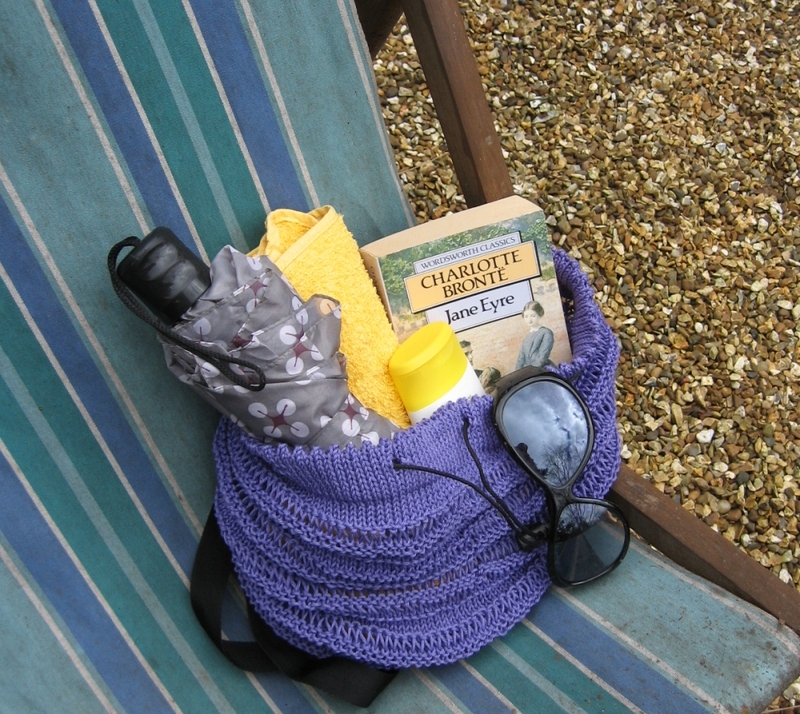 I styled the bag on a mouldy deckchair stuffed with the essentials for a day on the beach in Britain; sunglasses, sunscreen, a towel, a book (Jane Eyre, in this case) and an umbrella! With thanks to my neighbour for allowing me to use her gravel-garden to stand in as a pebble beach (I don’t leave near enough to the coast to warrant a photoshoot by the sea!). And dudes – I made the front cover!